We worked on the most lovely wedding last December. 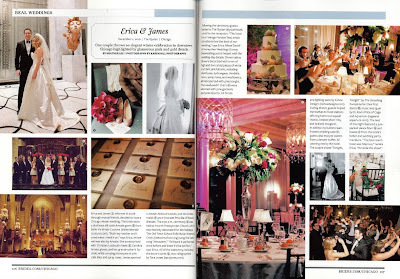 Erica and James were a wonderful couple with the most gorgeous taste. Their wedding is featured in the current issue of Brides Chicago. I am going to be featuring their wedding on my blog in the next few weeks.